Inviting co-authors or collaborators to your document is simple. You can type someone’s email address, search for them in the Authorea community, or invite authors from your Gmail address book. Your collaborator will receive an email notification that they are now a co-author. If they’re not an Authorea member yet, the email will tell them how to create an Authorea account. 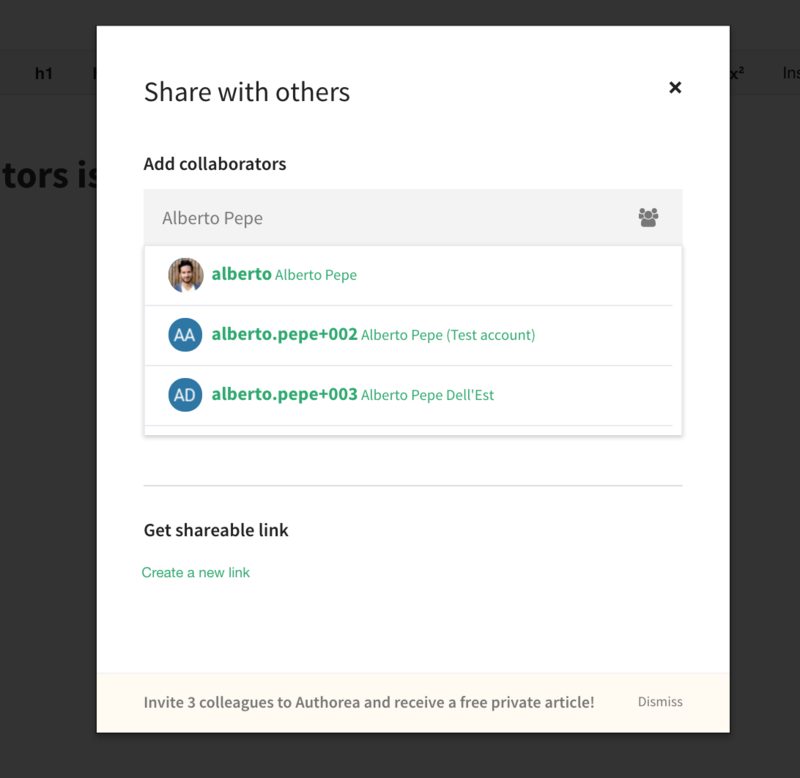 Note: if you would like to add a coauthor without inviting them to collaborate or join Authorea, click on the Manage button below the author list and add them as Proxy Author.